Since I took (roughly 4 years ago) the first feeble steps into web design and web marketing I've had Statcounter embedded in every page I've made to track web statistics. (Some say I should work more with Google analytics and don't ask me why but I constantly loose my way in the Google reporting, so although Google is tracking my websites too I still prefer to check "my Statcounter" on a daily base). The beauty of a system like Statcounter is that you see which keywords or key phrases are used most at one point in time. When you check these on a regular base you will start to notice trends in what your web visitors are in to. A few months ago I noticed an increase in the phrases and words about repairing/restoring design parquet floors (at that time the 'credit-crunch' started to lift its ugly head a bit higher and 'don't move - improve' started to become the new buzz-word). When you - like me - manage your own website (with or without the help of a blog-platform) you are then in the ideal position to write more dedicated pages or articles on the very subject that is so sought after. Which (of course) I did: two new wood-guides appeared on our informative website dedicated to the repair and/or maintenance of original parquet floors. And hardly in no time at all did one of them become the most popular and most frequently found as entry page of our whole 'static' website (including our webshops and FAQ & News site our web presence now counts 311 pages - 'only' 60 of them built in Dreamweaver). In the guide I'd listed products we use and recommend with links to our new secure webshop and slowly we saw an increase in online orders for those particular products. In my mind the only things missing was how to entice those reading the wood guide to become a subscriber to any of our AWeber (aff) email lists? Last week I thought I'd found the perfect solution: turn the whole context of the guide into a handy and printable PDF-file anyone interested in this could request through an AWeber webform. Using one of my favourite simple software programs, ScreenSteps (aff) the PDF wood guide started to gain even more 'work-in-progress' pictures and more elaborate tips on how to do this or that when repairing a rediscovered design parquet floor. And with one click of the button it was exported as a perfect Ebooklet (PDF-file), ready to be attached to the first follow-up message of my new AWeber email list. Until I mentioned this 'project' to my good friend who immediately took it one simple step further: put a price on it and sell it. Now don't take me wrong, he nor I are greedy persons looking to squeeze every penny/pence out of everyone who comes looking for information - far from that. So I added more to the 'digital wood product' (another PDF on cleaning and maintaining your design parquet floor, our maintenance leaflet, our report "Things not to expect of your wooden floor, and even our first Ebooklet - which we sell also - "The Benefits and Advantages of Natural Wooden Flooring" and designed two new pages on our static website with images of and info on wood species mostly used in those original parquet floors), decided on the price and combined Paypal to turn AWeber in the delivery vehicle of our first digital wood product. Now I know that's nothing world-chocking to some of you who are used to earning 6 to 7 digit figures during a 'launch' - I'm taken my own pace and am very comfortable with the formula we are using to build trust with our prospects in this simple and effective way. 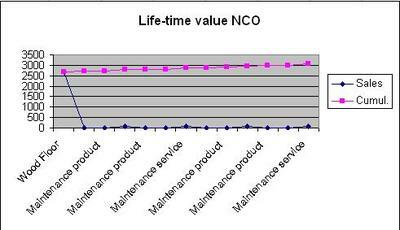 For us, as a NCO - New Customers Only - business, in rather economical difficult times it is becoming even more essential to find ways to 'copy' the non-NCO businesses "tactics": offering a first trust building item that turns a prospect into a client to start that all important life-time value. And since that is very hard to do with real wooden floors (free trial?) we are turning wood into digital products. 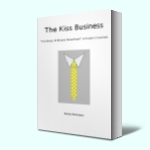 The Problem with "New Customers Only"
No matter which Business Advice book you read eventually they all tell you to concentrate on repeat orders to keep your business cash-healthy and growing. More and more I see the terms: Front-End and Back-End sales (or purchases) creeping up. There are now two types of sales: Front-End (to new clients you have managed to find) and Back-End (selling more items, more frequent and for higher prices to your existing clients). Last week I finished reading Richard Lomax's "The 7 secrets of Highly Effective Marketing" - not yet available from amazon.co.uk, only from his own "common-sense-marketing" website after going through the IMHO most ineffective extremely long landing-page I've seen recently, and I don't really understand why he keeps sending me emails to encourage me to buy the book and get 7 FREE marketing reports with it when I'm one of the first 100 buyers of his book?!?! He's not practising what he's preaching in free report 2: "How To Avoid The Six Most Common, Deadly Sins Of Sales Communication" - but that's beside the point now). Anyway, back to the subject on hand: back-end versus front-end sales, marketing and strategies. "The critical step at the front-end is to make it so absolutely irresistible for a targeted new customer or client to buy from you for their very first time, that they find it impossible NOT TO. The back-end purchases are where the true profit and growth potential of your business really lies. So how do you go about achieving a powerful Front-End customer acquisition strategy? Instead of offering your complete, normal product or service in the first instance, think of how you can make just one aspect or facet of segment of your offering available for a fraction of the normal price. Don't focus on making your maximum income at the front-end. 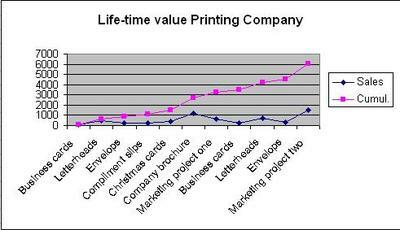 Be content to gain new customers on a minimal margin or for free on a break-even basis"
Let's look at this from a printing company point of view: offering to print business cards with a 50% discount to any new qualified lead. If successful and done with grate care and great overall service a business will be over the moon and decide to have its letterheads printed by the same printing company (at normal rate of course). Then follows the envelops with logo, complimentary slips, the yearly Christmas cards with logo and seasonal wishes, one-off marketing projects, company brochure etc in the following years. Or in other words: 50% discount on a small item (and business cards aren't the most expensive stationery you will ever buy) turns a qualified lead in a loyal client for an average lifetime of 5 years. So a true statement? The chart below does indicate so. Now lets look at it from what I've come to call a NCO' - "New Customers Only" business - point of view, great example our own company: wooden flooring. Don't focus on making your maximum income at the front-end? Wooden flooring is a definite NCO - our maximum income does come from the Front-End first purchase of a converted qualified lead. We can't be content with a minimal margin or to just break-even on that first purchase. And we're absolutely not an unique business. 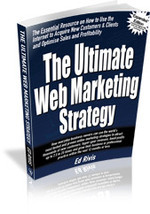 How do you look at all those plentiful highly effective marketing strategy books, blogs, article, reports etc that all seem to focus on Back-End businesses? Tell me right here in the comment box, please!